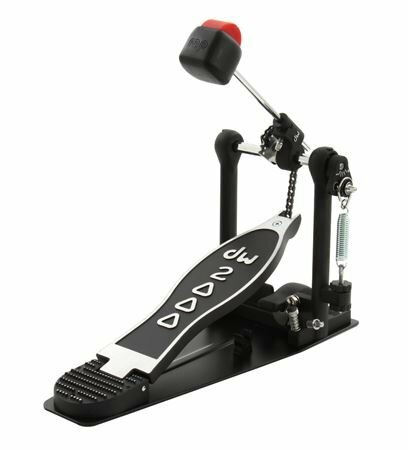 Shop Drum Workshop 2000 Single Bass Drum Pedal from AMS with 0% Interest Payment Plans and Free Shipping. 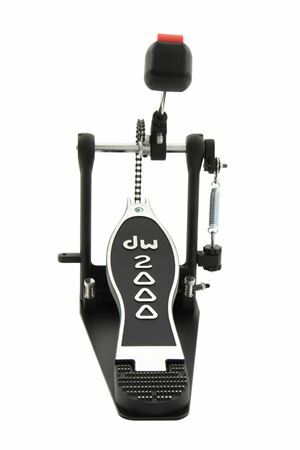 The Drum Workshop 2000 Single Drum Pedal delivers performance, stability, versatility and durability. Our entry level line of pedals are designed students, weekend warriors, and working drummers alike. Trademark DW all-metal construction and playability make the 2000 Series the perfect choice for bargain-savy drummers that want the features of a tried and true USA engineered pedal. 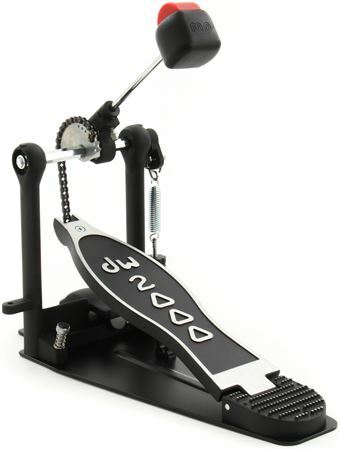 The Drum Workshop 2000 has a 101 2-way beater which is a industry standard beater with high impact plastic and felt surfaces to cover a range of musical applications. The Single Chain Cam has a chain and sprocket design with offset cam for quick response. The Steel Base Place Provides a sturdy foundation and insures nonskid play on carpet and other flooring surfaces play via adjustable spikes and Velcro. Works great for both acoustic and electric kits. Best pedal for the price. Built well and very solid. Happy with it!